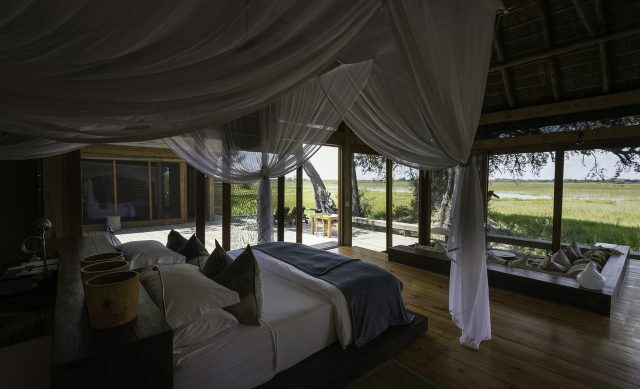 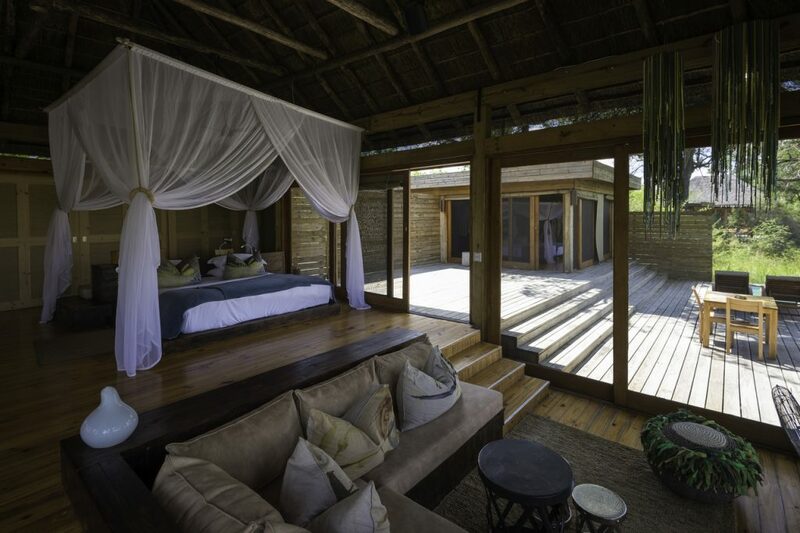 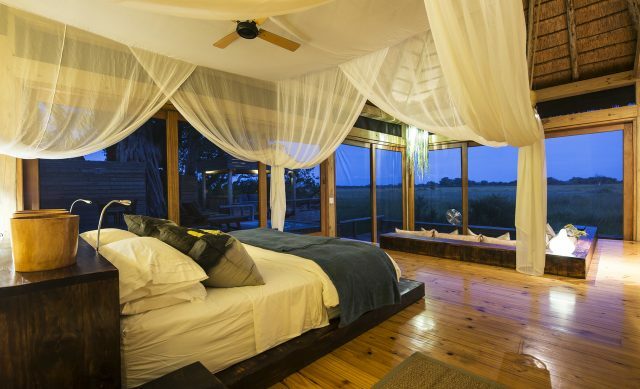 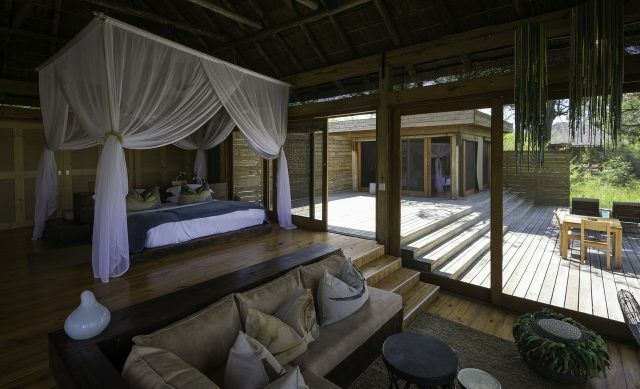 Each large, luxurious room is raised off the ground, with indoor and outdoor showers and an en-suite bathroom. 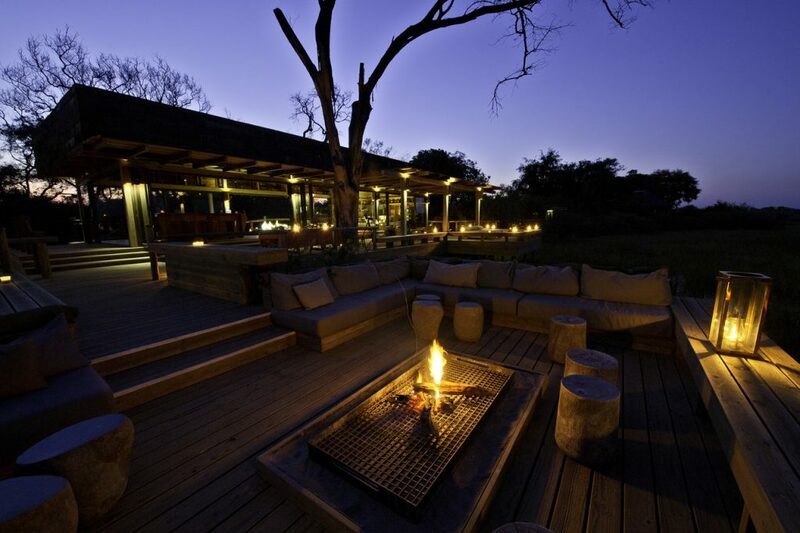 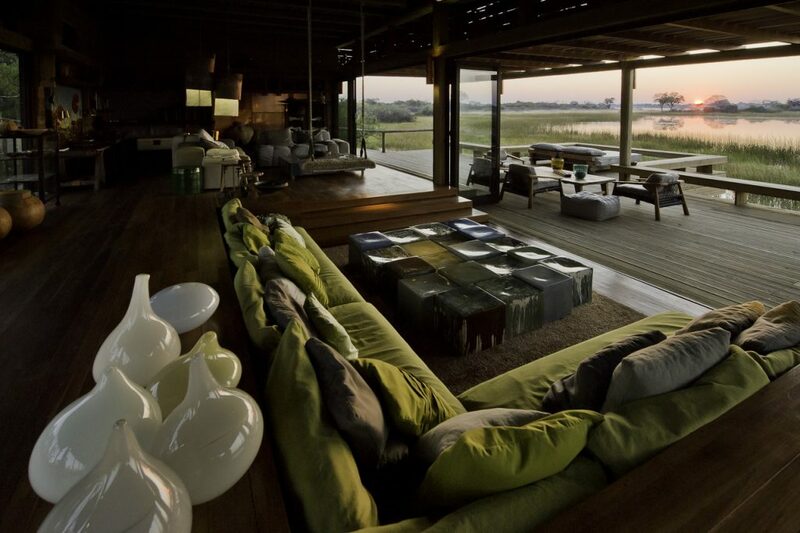 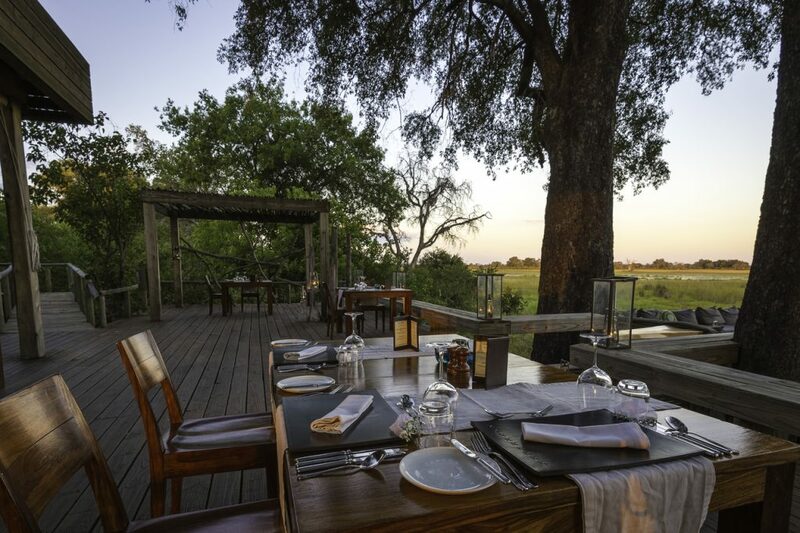 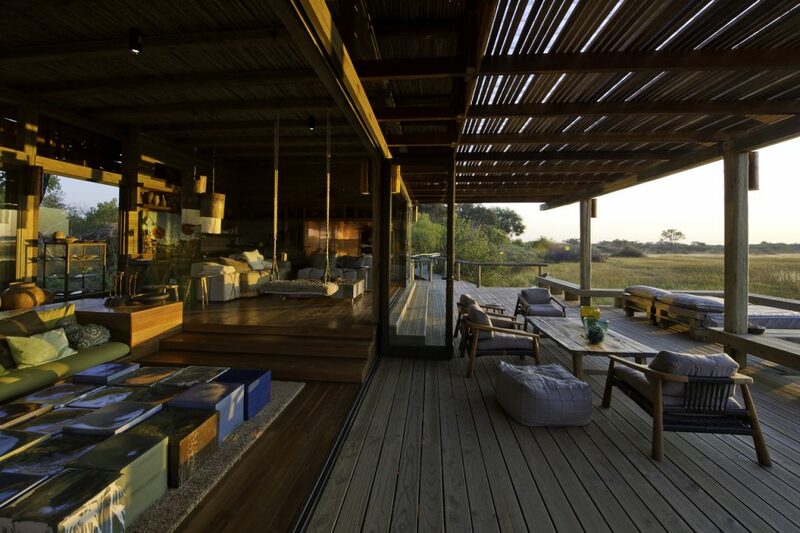 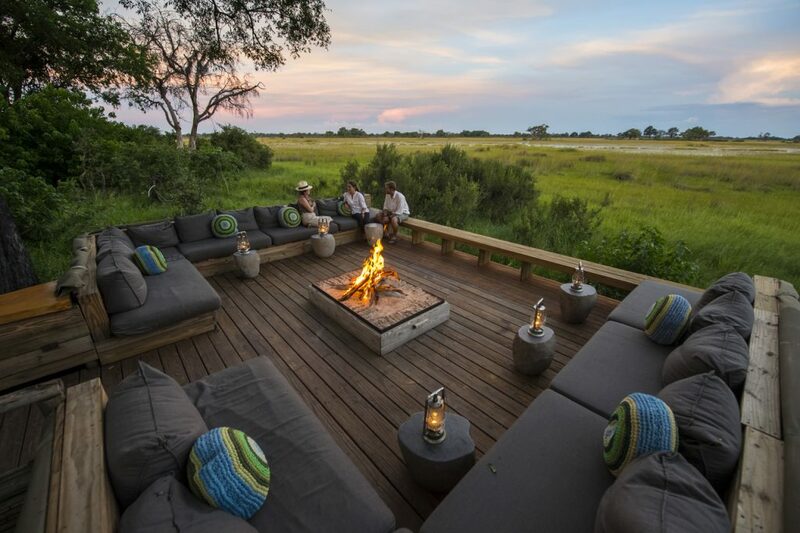 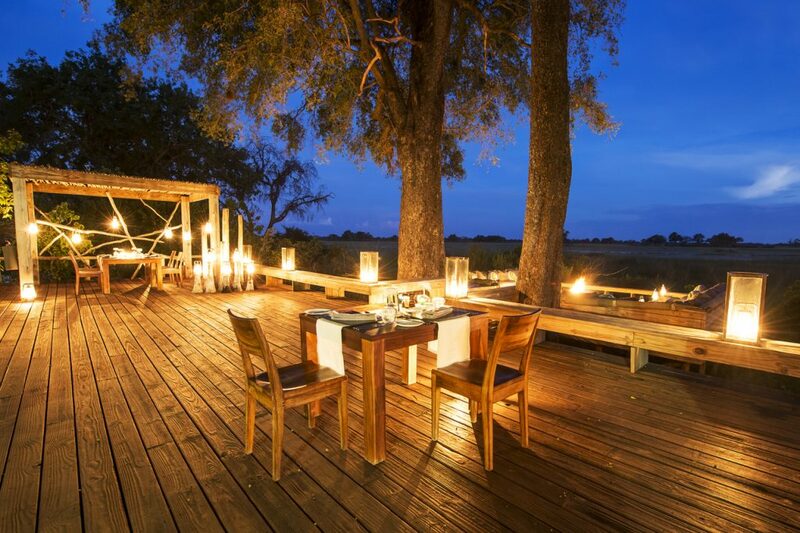 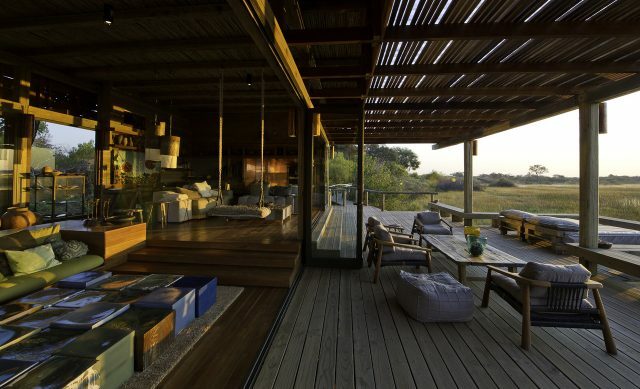 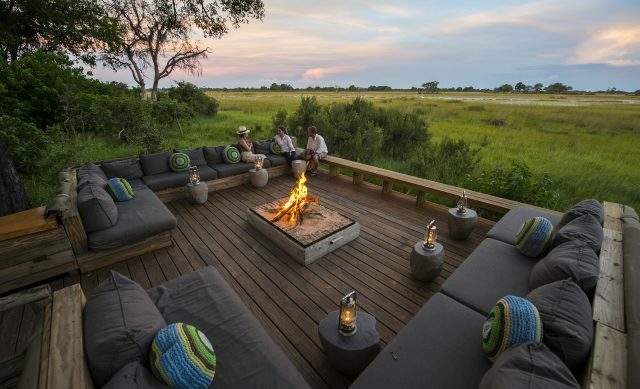 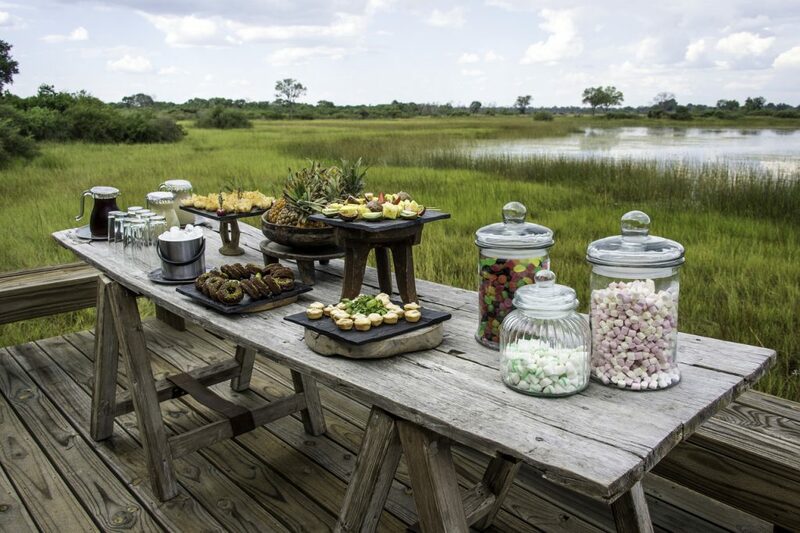 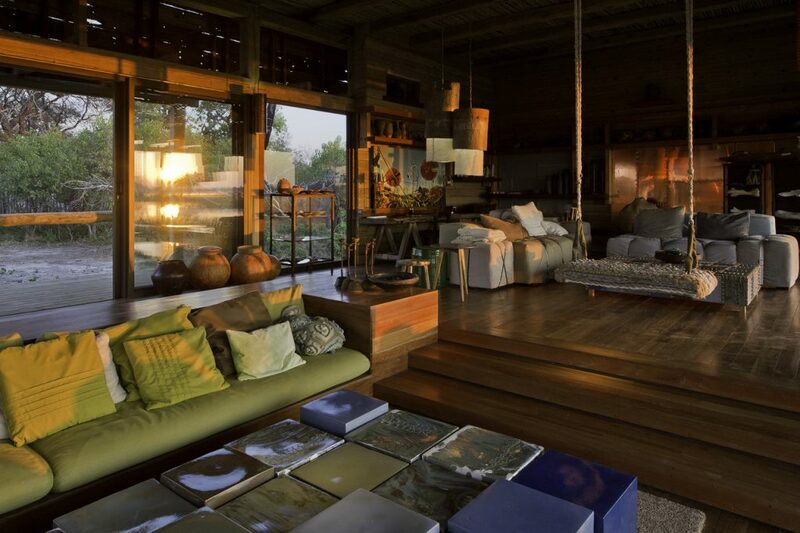 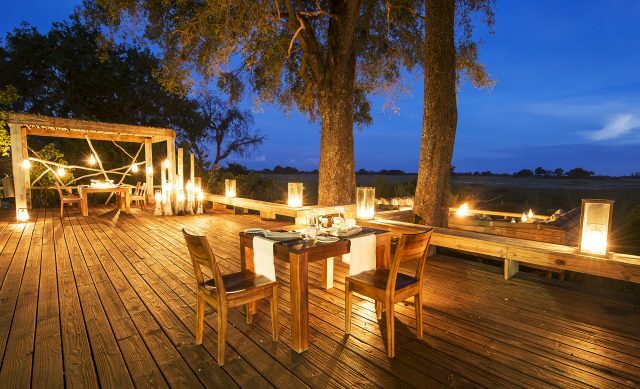 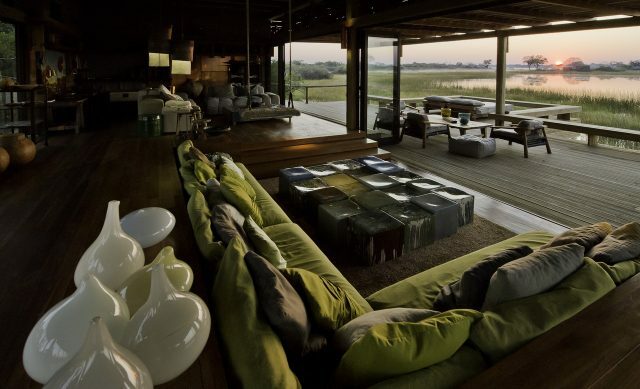 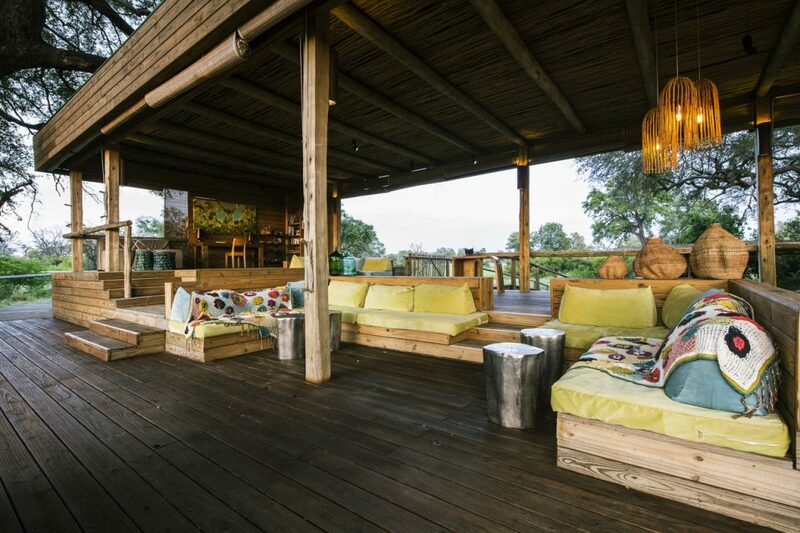 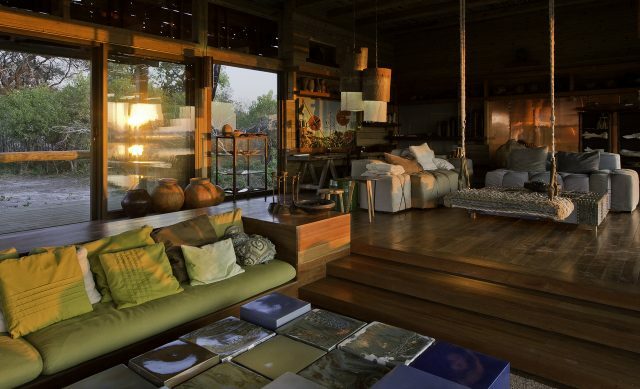 A step down is the lounge area, open on three sides for that iconic view of the floodplains. 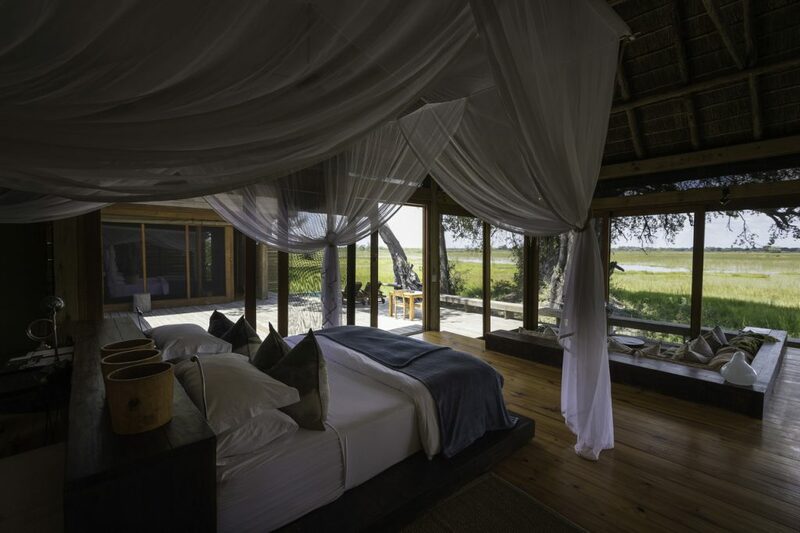 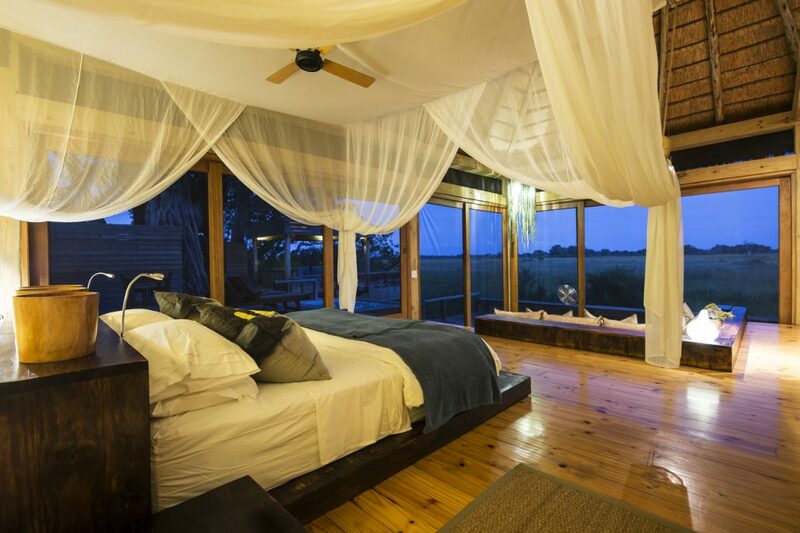 Additional room features include a private plunge pool and ‘sala’ – a place from which to watch the passing parade of wildlife or indulge in a soothing massage. 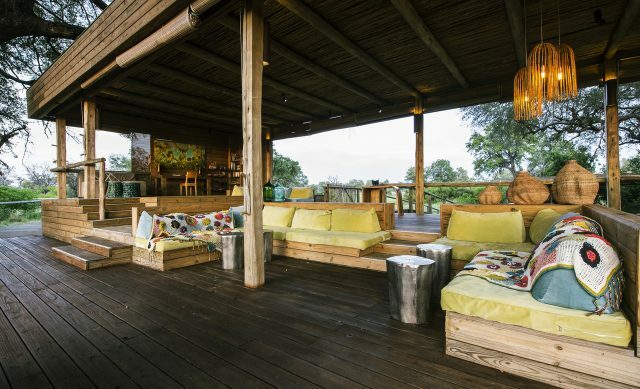 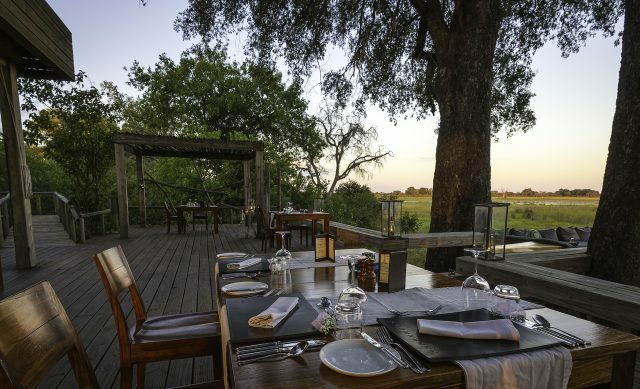 Morning and afternoon game drives are offered in open 4×4 Land Rovers each accommodating a maximum of seven people allowing each guest a ‘window’ seat. 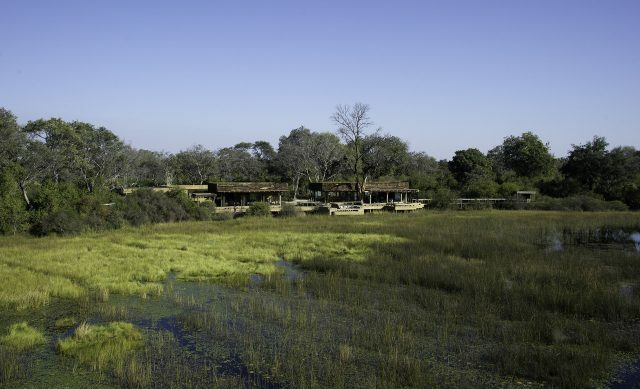 The birding around Vumbura Plains is exceptional all year round, with migrant species present in the summer. Pel’s fishing-owl is regularly seen, with other specials like wattled crane and slaty egret.